Many of us like to have our belongings with us, wherever we stay. For some of us, that means taking treasured items with us, on a two week holiday break. But for those who live a different lifestyle, or are perhaps retired, shipping your belongings can mean something completely different, with completely different global logistics requirements. Some people live out their year spending summer months in one place, and winter in another. There are families who divide their year up into three or four spells, depending on the seasons. Perhaps an extended stay in the Alps allows for the enjoyment of summer meadows, or winter skiing, while fans of sea breezes will escape to a coastal home for the hottest period of the year. An extended stay could mean shipping a season of clothes, and perhaps some other useful items, from one place to another. Animal lovers may also want to ship their treasured pets with them, as they move to their new seasonal home, something that may be complicated by local and regional quarantine rules, to prevent the spread of diseases across borders. At the more extreme end of things, you may have extremely wealthy individuals who spend summer in London, shipping their Ferraris, Lamborghinis and other supercars to the British capital. 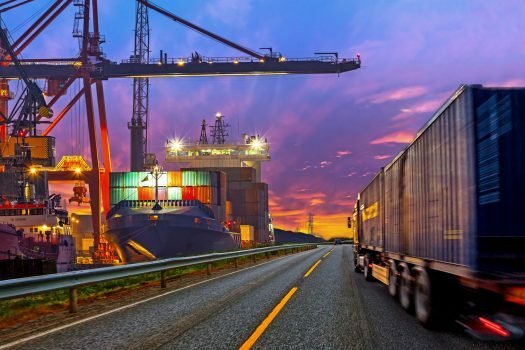 Such individuals will rely on the services of international logistics companies, who are capable of taking their luxury car, carefully, from one location to another. Frequently, individual cars are shipped inside a container – though for those in a hurry to have their wheels in a new city, air freighting is a speedier option. Equally, there are those with luxury yachts who like to spend time sailing across the oceans, or hanging around in one part of the world, before fetching their vessel back home. Sometimes sailors run out of holiday time, while others simply want to cruise around the Caribbean in their gin palaces, after spending a few months in the Mediterranean. For these people, there are specialist boat shipping companies. Sometimes, a crew can be arranged to sail a yacht from one part of the world to another. Alternatively, there are a growing number of specialist companies that will put a yacht onboard specialist freighters, and transport it from one sea to another. That may sound an expensive option, but for busy people it may be their preferred choice – while also protecting a smaller vessel from full exposure to large scale storms, which can be encountered in some oceans at certain times of the year. The examples above only go to prove that, wherever there is a need, the global logistics industry can deliver a solution. So whether you think your shipping requirement is mundane, or extraordinary, the best first step you can take is to contact Smart Directions and speak to one of our global logistics experts who will go through the procedures with you and manage the global logistics for you, every step of the way. Call Smart Directions and speak to one of our UK Global Logistics experts on 01442 507240 or contact us here.